A is for attitude. A good attitude is vital to shooting low scores and achieving a high level of satisfaction at all Thailand golf courses. Think of your best rounds, and I’d bet you that on those days, you were relaxed, didn’t have much to complain about, and in general had fun out on the course. How many players have you played with that seem to spend most of their time complaining about the course, the caddies, their bad play, the weather, their clubs or some combination of above? A good attitude is accepting a bad shot bad moving on the next shot without any thoughts of what just happened. For most Thailand golf travelers one bad shot spells the end of a respectable round, and/or remains with them for the entire day, on their way home, and probably into the night. 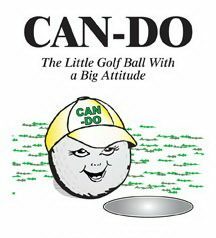 One good example of how to improve your attitude is taking this golf tip I heard on a recent itunes golf podcast. For most players hitting a shot into a sand bunker is the beginning of the end of the world, they’re muttering to themselves how bad a golfer they are, what a bad shot it was, and how they could be so stupid as to hit it in the bunker. However, if we were practicing and placed the ball in the bunker, there is no anger, frustration or self-criticism. We simply try to hit it as best we can and go on. We all have a choice of how we react to bad shots, and you’ll find your scores improve if you don’t beat yourself up so much after one poor shot. This is easier said than done! But if you want to improve without changing a single thing in your swing, then choosing to accept bad shots and moving on is the single easiest way I know to lower your scores, and get more enjoyment from your golfing in Thailand. Your attitude, just like in life, is so easy to change and will determine the amount of satisfaction you have golfing in Thailand!